This is a fun story brought to us by CorvetteBlogger (thank you) and in turn by Derek Moore, NCM’s Curator in another one of his terrific “Moore Monday’s” videos (which is below). I enthusiastically subscribe to Derek’s channel. And what a wonderful person he is to talk with in person when you visit NCM! You may be looking at the world’s only front-wheel drive Corvette. 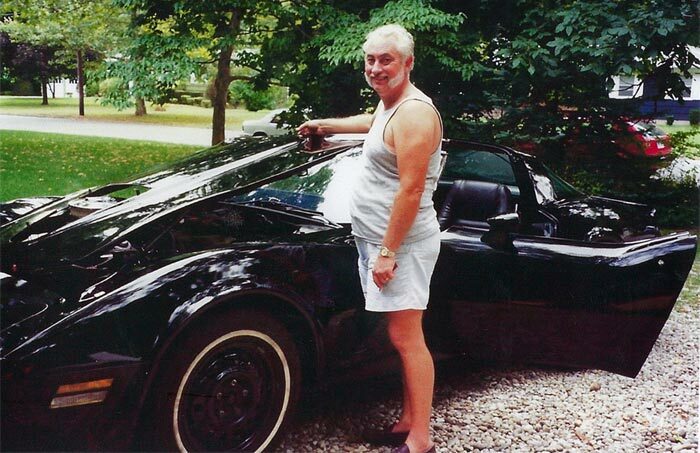 Back in the mid-1980s, an engineer named John Jacobi loved Corvettes so much that he wanted to be able to drive the car in the cold weather he had to endure up north. 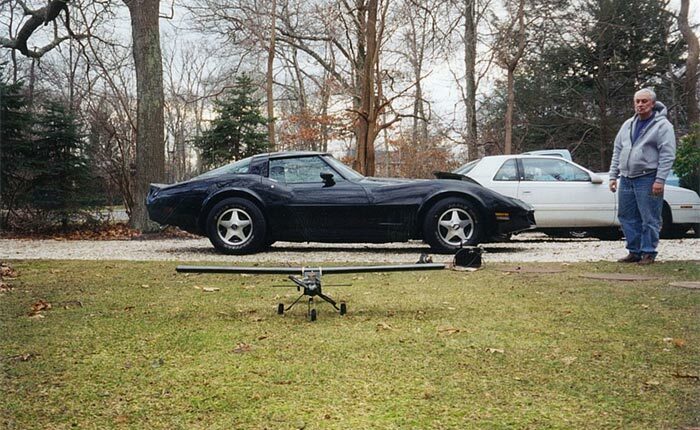 Naturally, he decided front-wheel drive was the way to go, so he set about finding a 1979 Cadillac El Dorado chassis and modifying it so that a standard 1979 Corvette body could be set atop it. The best of both worlds, some might say. Jacobi and his friends did such a good job with their project that the only way most folks know it isn’t your ordinary every day 1979 Corvette is by the Plexiglas cover on the hood. (That and the smoking front wheels if they decide to do a burnout!) They had to make a hole in the hood because the engine wouldn’t fit underneath since it had to be moved 18 inches forward to accommodate the front-wheel-drive system. Jacobi bought the Corvette body from a junkyard, a purchase that eventually ended up turning into quite an adventure for his daughter. John and his wife were at the theater one night when several police cars came to their house to repossess the Corvette because they said it had been reported stolen before he ever bought it. That made for a very harrowing experience for his daughter, Tara, who happened to be home when the raid occurred and since this was before the days of the cell phone, she had trouble getting in touch with her dad to let him know what was going on. Ultimately, the story had a happy ending as John and his El Vette, as he called it, were reunited, though he had to buy it again at auction! 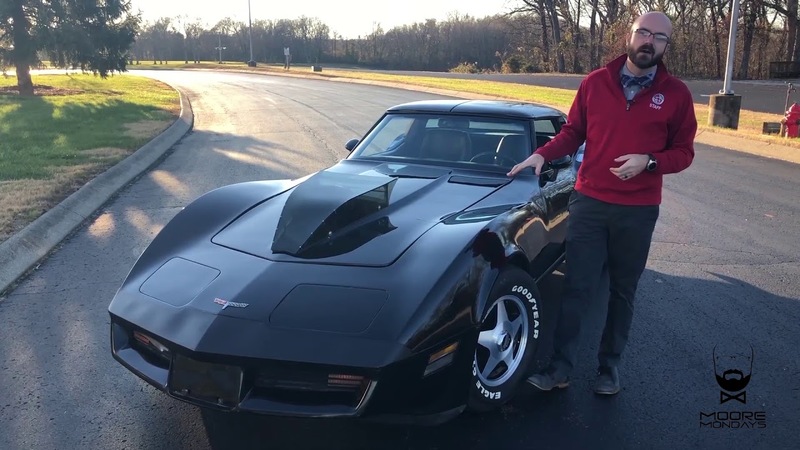 Sadly, this past April, John passed away suddenly, and his daughter – after taking one more spin in the car – decided to honor her father’s wishes and donate his unique creationto the National Corvette Museum. Check out “Moore” of the story in “Moore Mondays” as NCM curator Derek Moore talks about the unusual Corvette’s history and points out how the museum wants to recognize those enthusiasts who want to personalize their Corvettes. It goes without saying that John Jacobi’s creation is definitely personalized! Last edited by John; 01-08-2019, 09:07 PM. That was a fun story and video. i am going to watch some more of Derek’s videos. not to be a smart @ss but snow tires do the trick ..
still a cool adventure and a cool tribute to a father by his daughter..to donate the vehicle. Last edited by JB; 01-09-2019, 05:22 AM. Curious..seems as though its a cadillac el dorado powertrain placed inside a c3 chassis...not a el dorado chassis fit under a c3 body shell. probably a front clip of an eldorado at best narrowed and installed if not just the powertrain..
That must have been an insane project. I d imagine he must have had a traditional rwd drive corvette as well..for the spring, summer and fall..
Sure looks like a C3 body to me.... from someone with a pretty early production C4. Thanks Derek. A very interesting C3. My bad, a seriously bad typo on my part.